The prolific Seth Tillman has posted a new draft article, entitled “Originalism, the Annals of Congress, and the Problem of Constitutional Memory.” The article can be found here. The main takeaway is the need to exercise caution in reading the Annals, which were compiled many years after the fact (something that I did not know). Tillman intends to draw broader conclusions about the issue of constitutional memory in the as-yet unwritten section V, but we will have to wait for that. In my last post I endeavored to show that the Constitution does not, and indeed cannot, prohibit congressional rules that allow minorities to block legislation. The Constitution explicitly grants to each House the power to determine the rules of its proceeding, and the exercise of such power inevitably involves giving minorities the power to bottle up, delay, or outright veto proposed legislation. Filibuster opponents, however, try to distinguish the filibuster from other congressional rules that enhance minority power. Geoghegan hints at such a distinction when he suggests that the “old cloture rule” was more constitutionally acceptable because “if senators wanted to stop a vote, they had to bring in the cots and the coffee and read from Grandma’s recipe book for chicken soup until, unshaven, they keeled over from their own rhetorical exhaust.” In other words, the old cloture rule was a delaying mechanism, but, Geoghegan claims, the current cloture rule is “in effect” an absolute veto on laws that lack supermajority support. Simply put, the change deplored by Geoghegan and other filibuster opponents is the result of the fact that the Senate is no longer willing or able to tolerate the amount of time consumed by real filibusters. It is difficult to see how that fact supports a constitutional challenge to the filibuster itself. One might as well argue that it is “unconstitutional” for the Senate to take lengthy recesses because otherwise it would be able to pass more contested legislation. To understand the issue better, lets take a simple hypothetical. Suppose the Senate had a rule stating that any presidential nominee would be deemed rejected unless the confirmation vote were unanimous. In other words, any single Senator would have an absolute veto with respect to nominations. If one accepts the premise that the Constitution requires such decisions to be made by majority vote, then this absolute veto rule must be unconstitutional. Now lets change the rule slightly. Instead of giving each Senator an absolute veto, allow each Senator to place a hold on any nomination. The effect of the hold is to require that the nomination be held in abeyance until an appointed day, immediately prior to adjournment sine die, on which contested nominations are to be debated. The Senate will then take up such nominations beginning with those that have a single Senator objecting, proceeding to those to which two Senators object, and so on. There is not enough time to consider all of the contested nominations, however, so those that have substantial opposition (say more than ten Senators) are never considered. This hypothetical hold rule might be terrible policy, but how could it violate the Constitution? True, the rule “in effect” allows small groups of Senators to veto nominations. But nothing in the Constitution tells the Senate how long it must stay in session (other than requiring one meeting a year), what items of business it must take up while it is in session, or how to prioritize among different demands on its time. So unless the Senate has a constitutional obligation to stay in session long enough to debate and vote on every nomination, the rule would seem to pass constitutional muster. The analysis is the same for the filibuster. Like the hypothetical hold rule, the filibuster does not change the vote required for final passage of the bill; it just makes it extremely time consuming to consider a bill that is opposed by more than 40 Senators. Since it is neither required nor possible for the Senate to vote on all legislation, it must decide how to prioritize the time that it has. The fact that the Senate is unwilling or unable to spend the time required for a real “Mr. Smith goes to Washington” filibuster is simply not a problem of constitutional dimension. Now that the Massachusetts election is over, I would like to turn my attention to an opinion piece that appeared in the New York Times last week. In that article, Thomas Geoghegan argues that the Senate filibuster violates the Constitution. In brief, his argument is (1) as it currently operates, the filibuster requires a 60 vote supermajority to pass any contested bill; (2) the Constitution implicitly provides that a simple majority is sufficient to pass a bill; and (3) therefore the filibuster is unconstitutional. There is also a more fundamental analytical problem with a constitutional attack on the filibuster. It can be seen by asking how the Framers might have drafted a constitutional provision prohibiting supermajority rules such as the filibuster. They could have provided, for example, that “every bill receiving the approval of a majority of either House shall be deemed passed by that House.” But how would one determine which bills have the “approval” of a majority of the legislative body? There are an infinite number of possible bills that could be presented to the body for approval, and there is no way that a legislature could vote on all of them. And the fact that a legislative majority would be willing to vote for a particular bill does not mean that bill most closely reflects the majority’s preferences because the majority might prefer an alternative bill (or the alternative might be supported by an even larger majority). Given these fundamental facts about the legislative process, there must of necessity be gate-keeping rules to determine which bills actually get presented to the legislative body for a final up or down vote. Such rules exist in the “majoritarian” House of Representatives, as well as in the Senate. A principal example is the committee system, which enables small minorities, or even a single committee chair, to block legislation that might be favored by a majority of the chamber. Similarly, in the House the leadership has nearly total control over the legislative agenda, making it almost impossible for any legislation it opposes to reach the floor. Because there has to be a mechanism by which a legislative body sets its agenda and determines what bills will be considered for final passage, it is difficult to see how one would formulate a constitutional rule to prevent minorities from using this mechanism to block legislation that they oppose. One could provide, in a formalistic manner, that supermajorities cannot be required in a vote on final passage of a bill, but this would not prohibit the filibuster, which does not apply to votes on final passage. (Ironically, it would prohibit a House rule that requires a supermajority for passage of federal income tax increases—I will discuss the constitutional issues related to this rule in a later post). Of course, if one had a means of defining a particular legislative measure that must be considered, it would be possible to require that this measure receive a final up or down simple majority vote. Thus, for example, the argument that the Constitution requires the President’s nominees to receive an up or down vote is at least intellectually defensible (although, IMHO, unpersuasive) because the President defines the measure through his nomination. This still leaves undefined the time period within which the final vote must take place, but one could argue that the Constitution requires that the vote take place within a reasonable time of the nomination. In the case of general legislation, however, there is no constitutional definition of measures that must be considered, nor a starting time for consideration, much less a time frame within which consideration must take place. In short, there is simply no intellectually coherent way to require legislative bodies to consider or pass all legislation that may be favored by the majority. Thus, the filibuster cannot be “unconstitutional” in the simple sense suggested by Geoghegan. There are, however, other and more substantial arguments about the filibuster, to which I will turn in future posts. Andrew Stern (no relation), president of the Service Employees International Union (SEIU), was a registered lobbyist for SEIU until February 20, 2007, when SEIU de-listed him and 15 others in a Lobbying Disclosure Report. Prior to that time, SEIU had listed Stern as a lobbyist on several issues, including health care, immigration and labor matters. Stern’s de-listing has been challenged by two limited government advocacy groups, who point to publicly available information that Stern continues to engage in extensive lobbying activities. In a letter to the Clerk of the House, Secretary of the Senate, and Acting U.S. Attorney, they point to the fact that White House logs show that Stern visited covered executive branch officials on 11 occasions in the first quarter of 2009, and on 10 occasions in the second quarter. In addition, they provide evidence suggesting that Stern regularly met with Members of Congress and other covered legislative branch officials during this period. There can be little doubt that Stern had sufficient “lobbying contacts” (defined by the LDA as communications with covered officials regarding virtually any policy matter) to qualify him as a “lobbyist” under the law. However, to qualify Stern must also have spent at least 20% of his time on “lobbying activities,” which are defined to include both lobbying contacts and efforts in support of such contacts, including preparation, research, planning and coordinating with the lobbying activities of others. If Stern is assumed to work a 40 hour week, he would have 520 work hours in a quarter. Thus, he would have to spend 104 hours on “lobbying activities.” It seems unlikely that Stern, or almost anyone else, would spend that much time on lobbying contacts alone. If Stern spent an average of two hours on each White House visit and spent a like amount in direct communications with the Hill, this would still be less than half the amount of time required to qualify as a lobbyist. Thus, even if one could identify all of Stern’s lobbying contacts and determine exactly how much time he spent on them, it is unlikely that it would add up to 104 hours. Therefore, one would have to come up with some way of determining how much time Stern spent on other activities in support of lobbying contacts. No doubt Stern spends some amount of time on direct preparation for lobbying contacts. But it is likely that he spends a good deal more time on activities, such as learning about and discussing the public policy issues at the core of SEIU’s lobbying, that cannot be unambiguously categorized as lobbying or non-lobbying. In order to determine whether Stern qualifies as a lobbyist, one would first have to have some source of information to determine the number and duration of his lobbying contacts, then to identify and quantify the time spent on direct lobbying support, then to identify and allocate the time spent on ambiguous activities and finally to compare the resulting number to an estimate of Stern’s total work hours (which are probably much higher than 40 hours a week). This might be doable for some people who are full-time lobbyists and/or bill by the hour, but it would be very difficult for Stern and many others. As a former member of the 9/11 Commission noted today, Congress has failed to implement one key recommendation of that Commission—relating to how Congress organizes its own homeland security and intelligence committees. The Hill states that “[f]ormer Sen. Bob Kerrey (D-Neb.) said that Congress’s failure to adopt [this recommendation] contributes to problems at the country’s intelligence agencies in the wake of the failed Christmas Day attack.” What follows is a piece I wrote, but never published, right after the 2006 elections. Nancy Pelosi, the incoming Speaker of the House of Representatives, has promised that a Democratic-led House will move immediately to enact all of the unfulfilled recommendations of the 9/11 Commission. She has also promised to make dramatic changes in the way Congress does business. Her willingness and ability to keep these promises will be tested by what is unquestionably the most important unfulfilled recommendation of the 9/11 Commission: that Congress reform itself. Specifically, the Commission recommended significant changes with regard to how Congress is organized for oversight of intelligence and homeland security. The institutional weakness of the intelligence committees stems in large part from the secrecy of the intelligence community they oversee.Information on highly classified programs is difficult to obtain and, when the information is shared with the committees, may be provided in such a compartmented fashion as to make it of little or no use. For example, during the recent inquiry by the House Permanent Select Committee on Intelligence (HPSCI) into the activities of former Representative Duke Cunningham, we discovered a potentially relevant computer disk in Cunningham’s classified file at HPSCI.Because HPSCI did not have the technology to read the disk, it had to request assistance from an intelligence agency.After the agency obtained the disk, however, it refused to provide access to the files contained on the disk on the grounds that HPSCI was not cleared for the information in question. The secretive nature of the intelligence community also deprives the intelligence committees of some of the most powerful oversight tools: the ability to hold public hearings and to issue public reports.Other congressional authorizing committees can use public hearings and reports to pressure agencies to modify policies and practices or simply to be more forthcoming with information, but the intelligence committees usually cannot. Theoretically, the intelligence committees should have leverage over the intelligence agencies as a result of the legal requirement in section 504 of the National Security Act of 1947 that that intelligence expenditures be specifically authorized as well as appropriated, which would appear to require the approval of the intelligence committees as well as the appropriators.However, experience indicates that the appropriators have found ways to circumvent this requirement, ranging from putting expenditures in budget categories (such as military intelligence) which are not subject to the legal requirement to simply waiving the requirement outright.As a result, the appropriators are perceived to have far more sway over intelligence spending than the intelligence committees, a fact that undercuts the oversight capabilities of the latter. To address these deficiencies, the 9/11 Commission recommended major changes in how the intelligence committees are structured, such as combining the appropriating and authorizing authorities in a single committee for each House.These new intelligence committees would be composed of relatively few members (with majority party representation never exceeding that of the minority by more than one) who would be “clearly accountable for their work” and would be served by a nonpartisan staff working for the entire committee. The 9/11 Commission stressed the critical importance of the congressional reform portion of its recommendations, noting that “the other reforms we have suggested . . . will not work if congressional oversight does not change too.”Weak and divided congressional oversight makes it difficult for Congress to ensure proper and effective implementation of the Commission’s executive branch intelligence reforms, which were enacted into law by the Intelligence Reform and Terrorism Prevention Act of 2004. Divided congressional oversight also enables agencies, contractors and others to play one committee off against another, exploiting committee rivalries for their own advantage and profit.In addition, it wastes the time and effort of agencies and high level officials who must report to and appear before many different committees. Effective oversight of the executive branch requires more than a simple willingness to demand information and to issue a subpoena if necessary.Congressional oversight must be serious, systematic and ongoing.Oversight must be focused on improving intelligence and homeland security, rather than on getting contracts for friends or constituents, or on scoring political points. 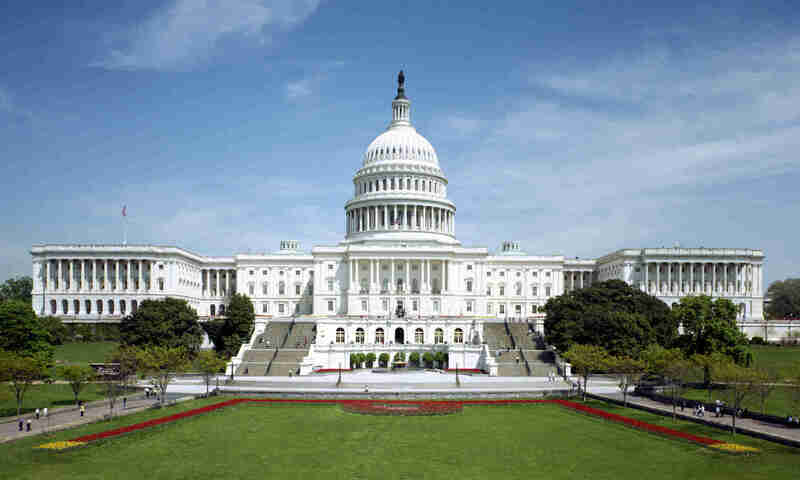 It is much easier for Congress to reform the executive branch than to reform itself.By enacting the congressional reform recommendations of the 9/11 Commission, however, Congress can show that it is no longer business as usual on Capitol Hill. When questions arise about the constitutionality of a proposed piece of legislation, such the healthcare legislation currently pending in Congress, Members of Congress frequently deflect them by saying that any constitutional issues will be dealt with by the courts at a later time. Senator McCaskill, for example, responded to a question about the constitutionality of the individual mandate by offering assurances “that if anything in this bill is unconstitutional, the Supreme Court will weigh in.” Senator Conrad similarly suggested that the issue was a technical legal one outside of his responsibility. This approach, however, is misguided for several reasons. First, Members of Congress have a responsibility, independent of the judiciary, to uphold the Constitution. They take an oath to uphold the Constitution, and it is difficult to see how this oath is consistent with passing legislation without regard to its constitutionality. Second, Congress cannot rely on the courts to determine all constitutional issues. Some such issues (e.g., impeachment, determining the rules of congressional proceedings) are recognized to be “political questions” exclusively committed to the decision of the political branches. Even ordinary constitutional issues, moreover, can only be resolved by the courts if they arise in a justiciable case or controversy. For example, it is not clear that anyone has standing to challenge certain aspects of the healthcare reform legislation, such as the preference given to Nebraska with regard to Medicare reimbursement. And even when such challenges can be brought, it is likely to be many years before they are finally resolved. Finally, and perhaps most importantly purposes of the healthcare bill, it is a mistake to equate a measure’s ability to survive judicial review with its constitutionality. I refer here not to the possibility that the courts may be wrong, but to the nature of the review that the courts undertake. As Professor Volokh points out, when the issue is whether a law exceeds Congress’s enumerated powers, the courts don’t decide the issue de novo. Instead, they defer to Congress’s own judgment on the issue, overturning that judgment only in circumstances where it would be unreasonable for Congress to reach the conclusion that the measure in question falls within a particular enumerated power. Thus, if Members of Congress leave the constitutionality of healthcare reform to the courts, the question of constitutionality becomes largely circular. Members will defer to the judgment of the courts, and the courts will defer to the (supposed) judgment of Congress. Every exercise of power becomes constitutional, without anyone ever taking responsibility for explaining why.